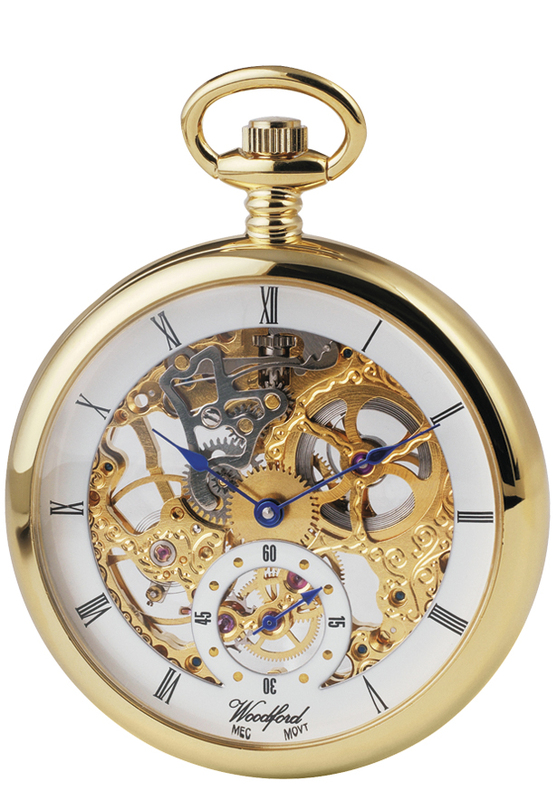 A gold plated pocket watch with a full skeleton movement, roman numerals and blue hands. 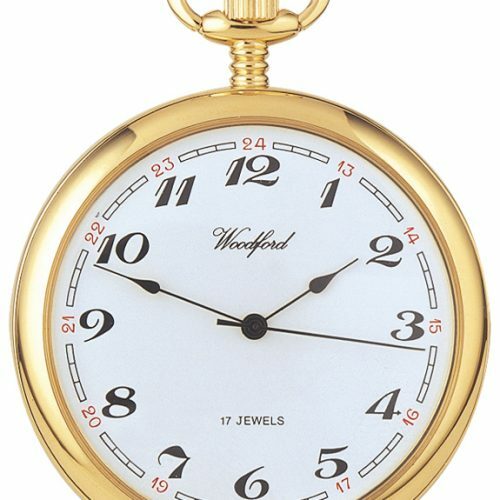 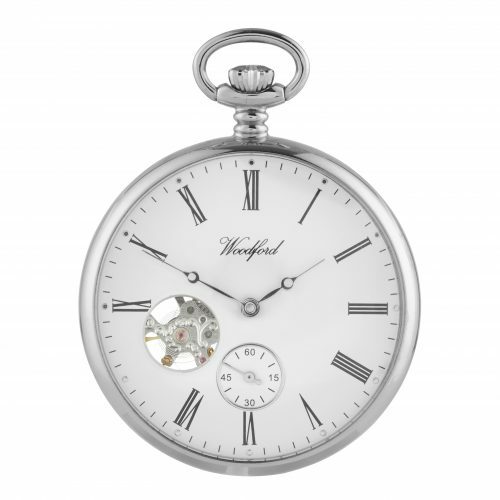 Woodford gold plated pocket watch. 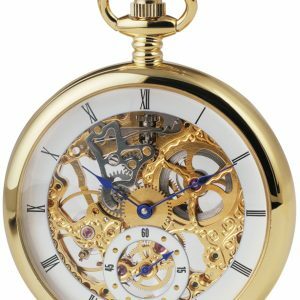 Full size skeleton movement.